And this is what will help fund The Resistance and the ‘grassroots protesters’ in the streets against Trump. 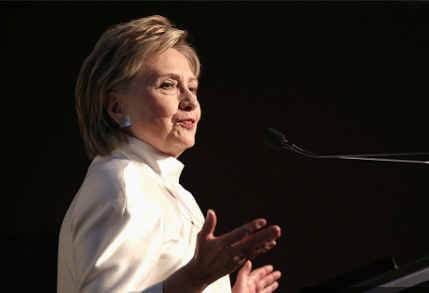 Clinton announced her intent to be “part of the resistance” in May with the formation of Onward Together, a political action group that will fund a number of established “resistance” groups that can quickly counter President Trump with direct action and protests. The group is dedicated to “encouraging people to organize, get involved, and run for office” and advancing “progressive values and work to build a brighter future for generations to come,” according to its mission statement. Hillary for America, Clinton’s campaign committee, made the $800,000 contribution to Onward Together on May 1, according to its FEC filings.